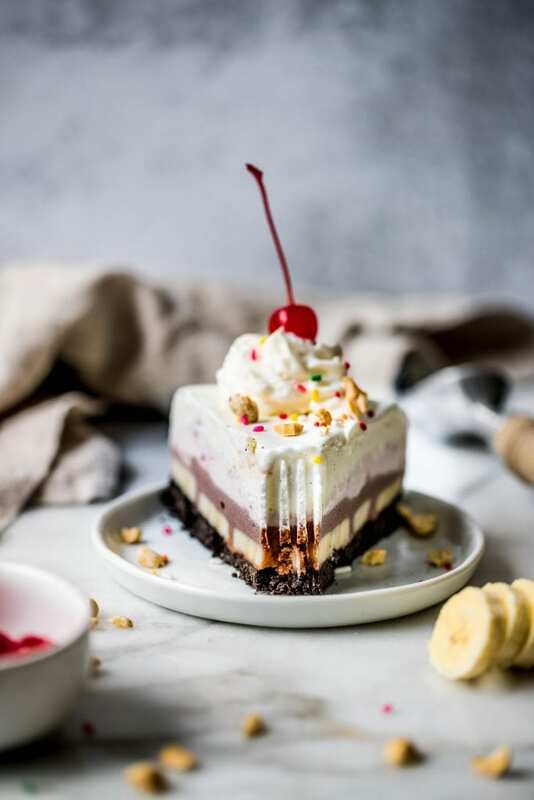 Celebrating National Banana Day with this Banana Split Ice Cream Pie! Confession: I have never had a traditional banana split. You know, the one served in a boat with the banana cut in half lengthwise with all the toppings. As a kid, they just never appealed to me. 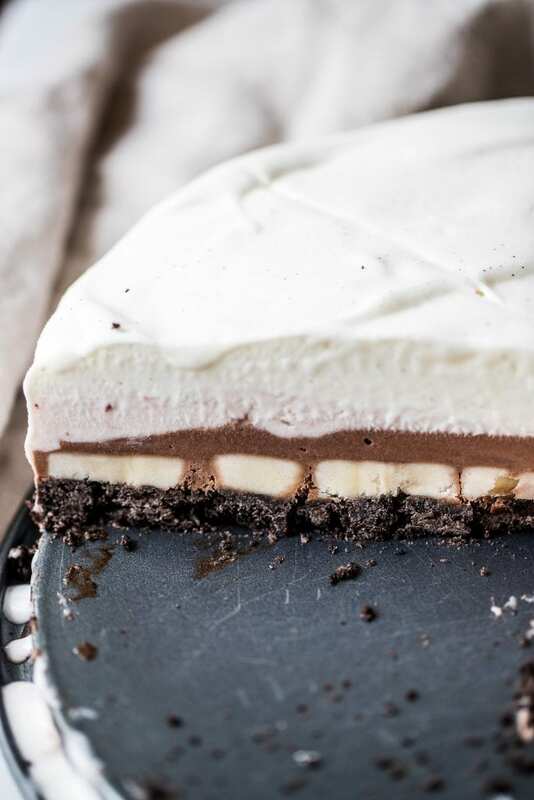 But this ice cream pie on the other hand…game changer. A banana-split is an ice cream based dessert. It’s traditionally served in a boat with the banana sliced in half, topped with vanilla, chocolate and strawberry ice cream. Toppings include a sauce of some sort: chocolate, caramel or strawberry. Also crushed pecans, walnuts or peanuts, sprinkles, whipped cream and a maraschino cherry. How do I make the Oreo crust? For this pie, I chose to make an Oreo crust! In a food processor, process 24 Oreos (the entire Oreo!) until they become crumbly. Then add in 4 Tbsp. unsalted melted butter and process again. Press this into your springform pan and freeze for 10 minutes. If you don’t want to make the Oreo crust, you can use graham crackers or Nilla wafers and follow the same directions as above. You’ll want to use about 12 sheets for the graham crackers and about 60 Nilla wafers. Toppings: favorite sauce (I love chocolate sauce! ), whipped cream (or cool whip or coconut cream), nuts (such as peanut or walnuts), maraschino cherries and sprinkles! Pro tip: Use 2 cups of each ice cream per layer! Do I need any specific kitchen tools for this recipe? 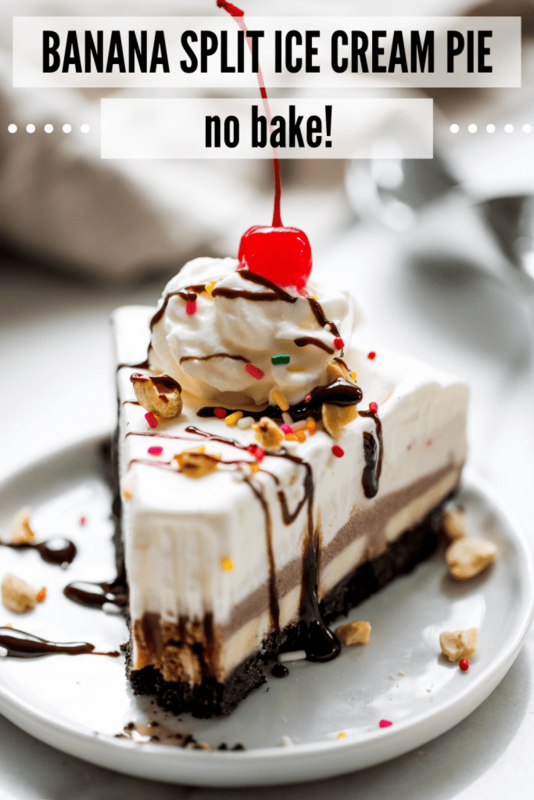 You will need your freezer of course – and the bonus…no need for an oven! Pro tip: Let the ice cream sit on the counter to get soft (not all the way melted) but SOFT so it’s easy to spread around. How long does the ice cream need to sit in the freezer in between spreading on ice cream layers? At least 1 hour for the ice cream to set up. 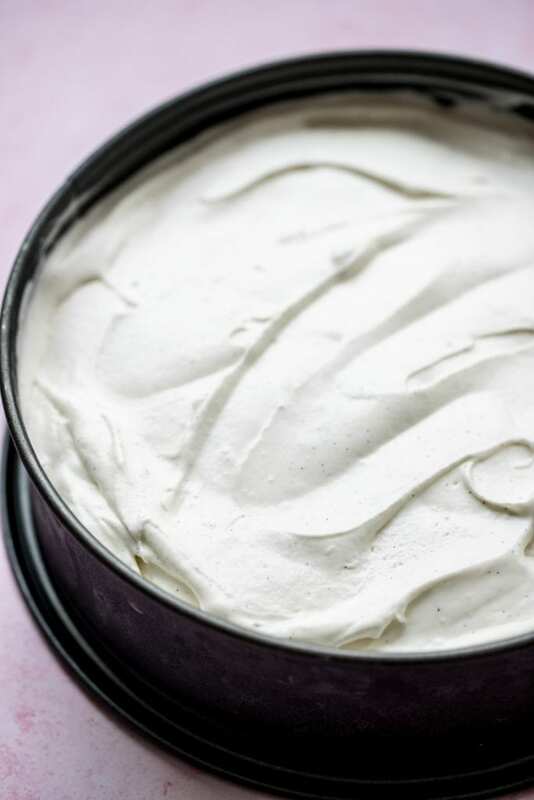 If you try to cut corners and spread on ice cream layers before then, the layers will begin to mix and you won’t have clean layers! 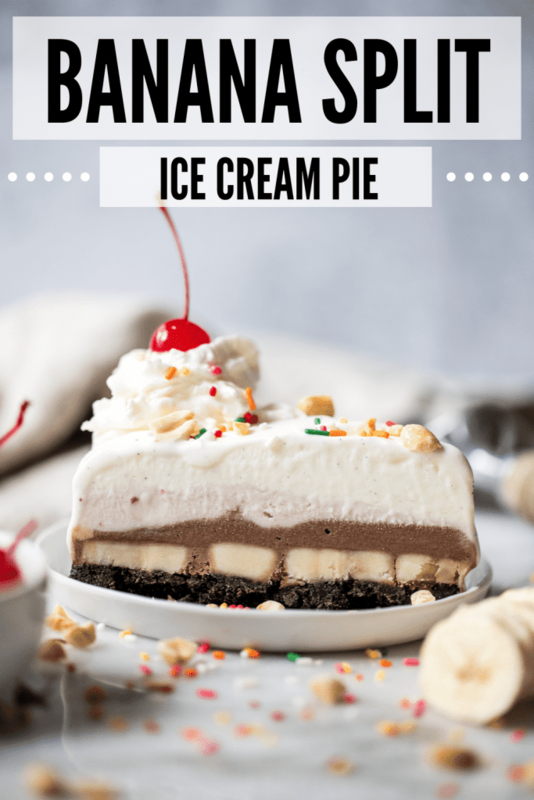 Yes – you will need to PLAN when you make this ice cream pie, it is not a “quick” pie! What if I don’t like strawberry ice cream? Sub it with mint ice cream! 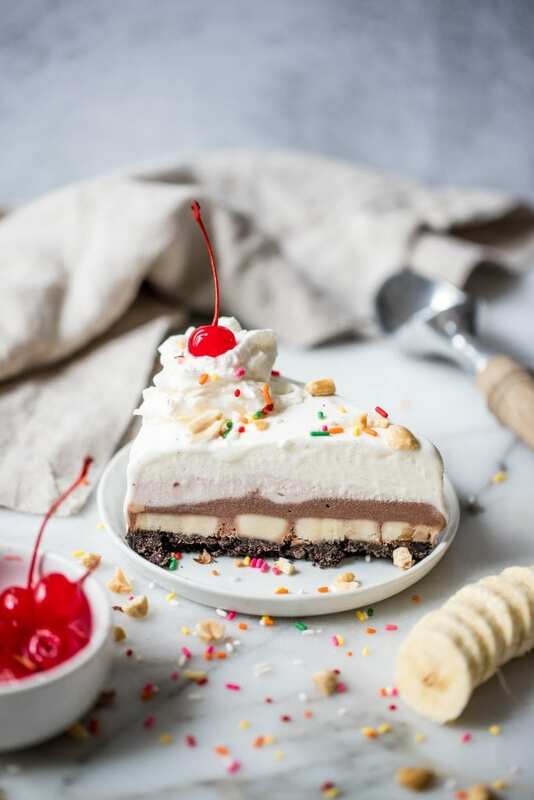 Layers of chocolate, vanilla and strawberry ice cream make up this incredible no bake banana split ice cream pie. 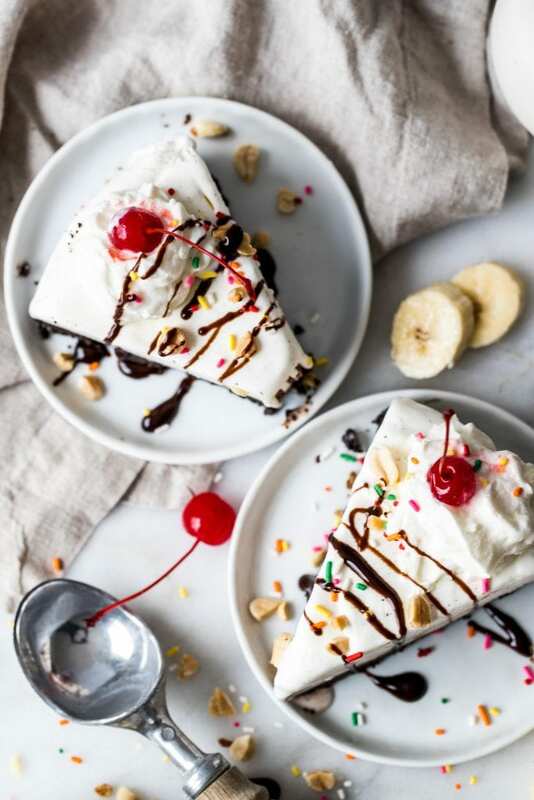 Serve with your favorite banana split toppings! In a food processor, process the Oreos until crumbly. The add in the melted butter and process again for a few seconds until mixed. Press this mixture into the bottom of a 9 inch springform pan. Freeze for 10-15 minutes. 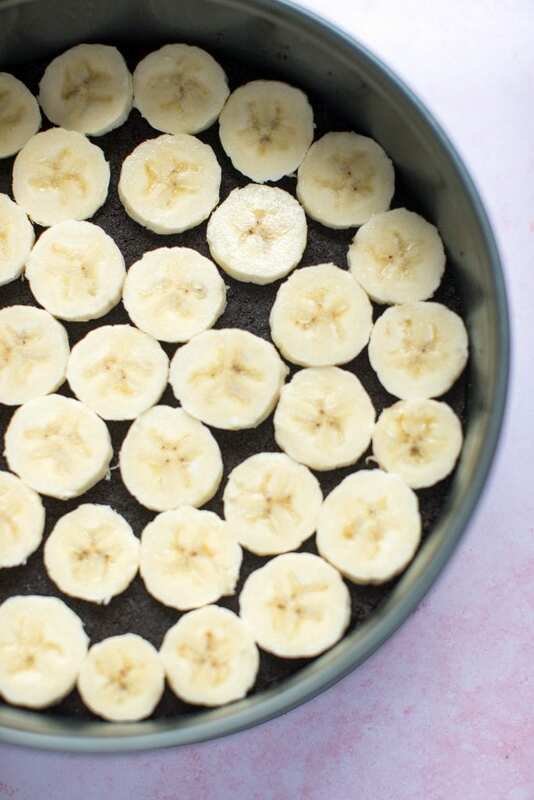 Place the sliced bananas in a single layer on top of the crust. Then start with the chocolate ice cream layer. Be sure the ice cream is softened before trying to spread it on the crust. Spread the chocolate layer evenly on top, and then freeze for 1 hour. Repeat with the strawberry layer and then vanilla layer, freezing an hour in between layers. Once completely frozen, add on your toppings and enjoy!! 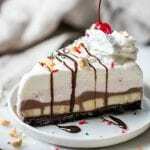 Banana split ice cream pie, yes please. Perfect for the warmer weather. Summer needs to hurry up! Thank you! Such a beautiful pie! 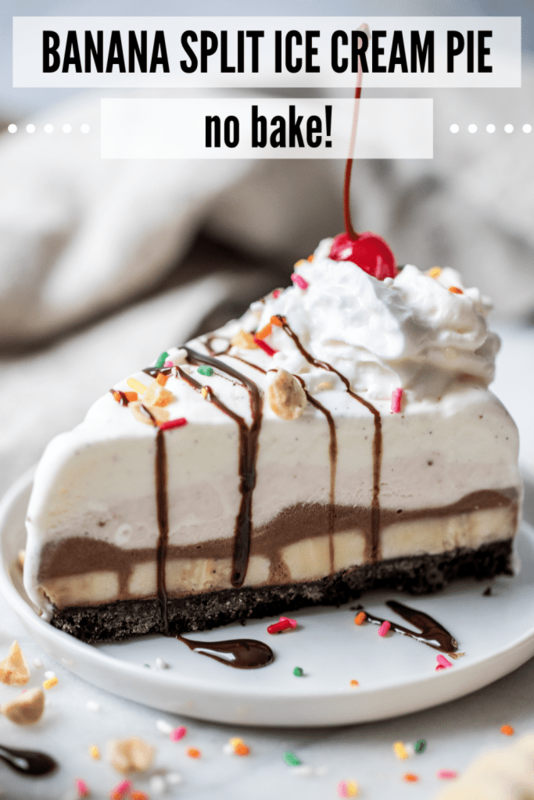 I absolutely love all those layers and that the recipe can be made without an oven. Yum! Thank you so much Tara, means a lot to me!! I never thought they sounded good as a kid either. Then a few years ago, I had a banana split cupcake that was so good, I’ve been craving them since. Love this homemade version! Omg a banana split cupcake also sounds incredible! Thank you!! I love that this comes together so easily – and with no oven! My favorite layer is the bananas! The bananas really make it!! Thank you so much!! This is a dessert I definitely need to try – it looks divine! Thank you so much, I hope you have a chance to try it out!